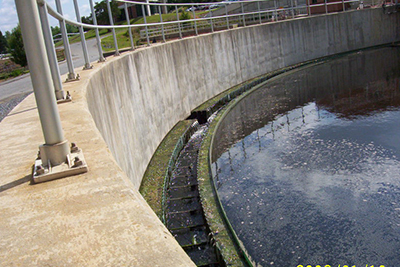 The Warminster Fiberglass Company offers a wide range of products designed to assist in the efficient operation of water treatment and wastewater treatment facilities. 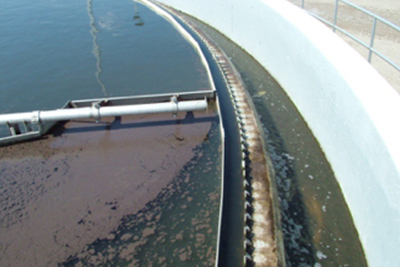 Using the equipment and products we offer, you can control the flow, separate solids from the water, and also measuring the flow and adjust it according to your needs. Our line of products for these applications include, but are not limited to, weir plate, lap plates, scum baffle support brackets, scum baffle plates and cover plates. At Warminster, we are well aware of the wear and tear these equipment have to face on a day to day basis. This is why we ensure the products are made using the highest quality materials and are built to last a long time, even if you use them frequently. 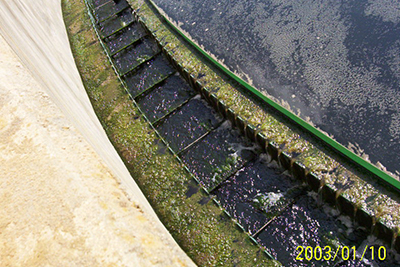 Our weir plates and scum baffles are made from polyester resin that is reinforced with fiberglass and then matched-die molded. This ensures that the weir plates and scum baffles are strong, sturdy and efficient, and at the same time, are portable and easy to install. Our choice of materials for manufacturing these products ensures they have a smooth, resin-rich surface. Plus, we make sure there is no chance of any voids, exposed glass, crazes, cracks, or porosity, providing a quality product that you can start using without delay. Also, we seal in the edges in the mold to further enhance usability. 11 7/8″ high with 2 7/8″ deep 90° V-notches on 5 15/16″ centers. 9 1/8″ high with 2 5/8″ deep 90° V-notches on 6″ centers. 9″ high with 2″ deep 90° V-notches on 4″ centers. 9″ high with 2″ deep 90° V-notches on 12″ centers. We also offer other sizes and configurations. Let us know your needs and we will customize the weir plates and scum baffles accordingly.